The cast of Hairspray. Photo by Andrew Mather. Photo courtesy of Starlight Theatre. 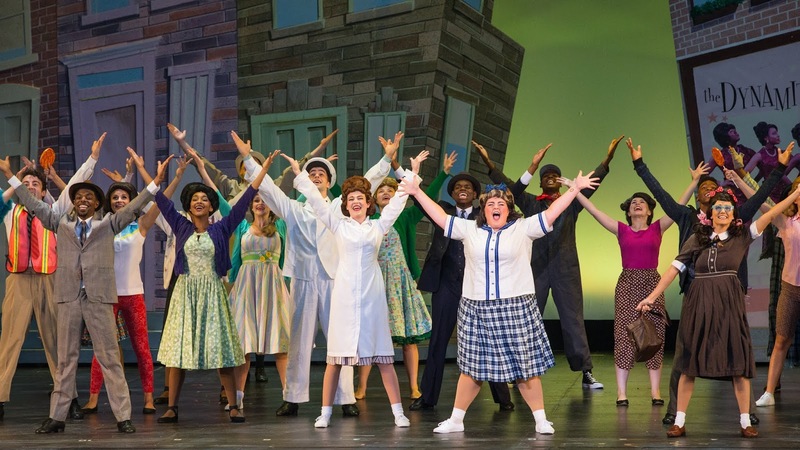 Welcome to a whirlwind of energy, laughter, and pure joy - Hairspray has arrived at Kansas City's Starlight Theatre and it is a show not to be missed! and the cast of Hairspray. Photo by Andrew Mather. Photo courtesy of Starlight Theatre. 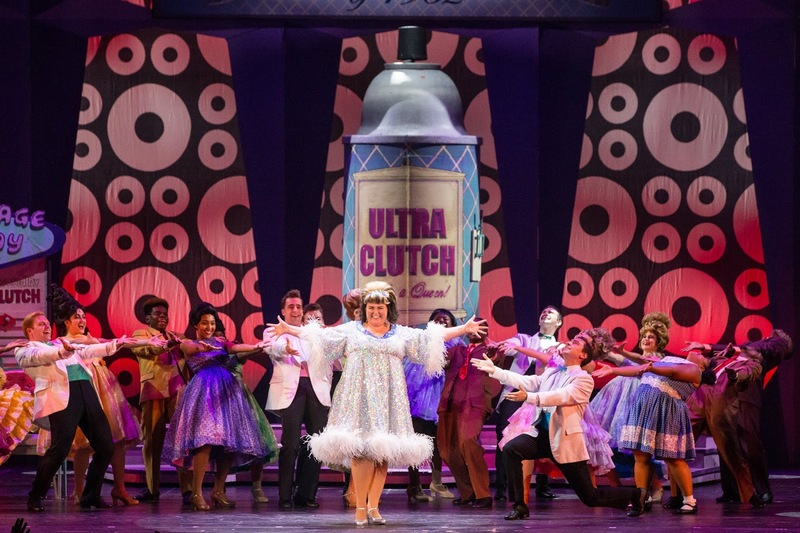 Hairspray originally opened on Broadway in 2002 and went on to win eight Tony Awards, including Best Musical. The show hasn't been at Starlight since 2006, so this is a welcome treat to the season lineup this year! 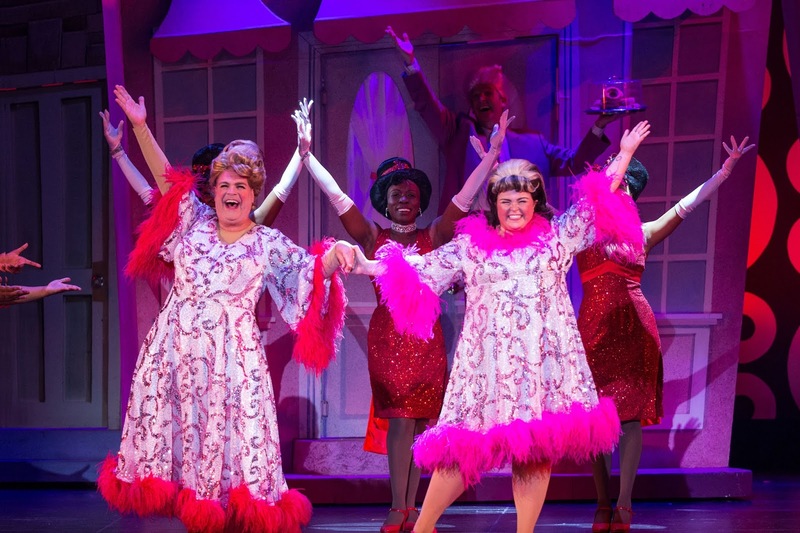 Broadway veteran and two-time Tony nominee Brad Oscar leads the cast as Edna Turnblad. Oscar was previously seen at Starlight in The Producers in 2010. The supporting cast boasts the talent of many Kansas City actors and the local support was evident throughout the show during opening weekend as the crowd cheered for their favorite performers. Brad Oscar as Edna Turnblad, Jessica Alcorn as Tracy Turnblad and the cast of Hairspray. Photo by Andrew Mather. Photo courtesy of Starlight Theatre. 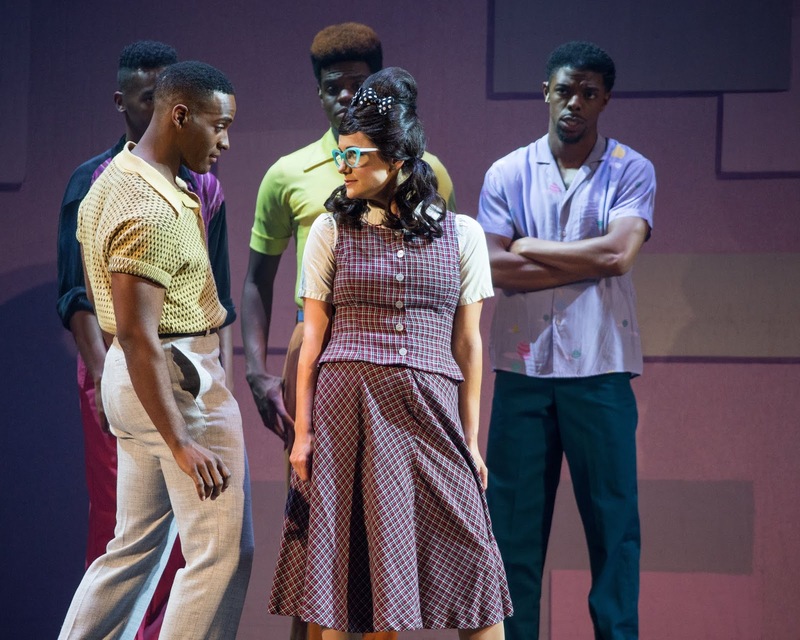 Set in 1960's Baltimore, Hairspray tells the story of 16-year-old Tracy Turnblad, who intends to groove her way onto TV's most popular dance program, "The Corny Collins Show." After auditioning and winning a role with the show's dance company, Tracy becomes an overnight sensation and uses her nnewfound influence to advocate for the show's racial integration. With the help of her fellow cast mates, Tracy tries to change the workd, dethrone the reigning Teen Queen and win the affections of heartthrob Link Larkin...all without denting her 'do! Stephen Scott Wormley as Seaweed J. Stubbs, Katie Karel as Penny Pingleton and the cast of Hairspray. Photo by Andrew Mathers. Photo courtesy of Starlight Theatre. The cast was full of energy and it was easy to believe that they were enjoying the evening just as much as those of us in the crowd. Kansas City natives Jessica Alcorn (Tracy Turnblad) and Eric Geil (Link Larkin) took us on a wild journey as they learned to stand up to those who opposed change and progress. Standout characters included Stephen Scott Wormley (Seaweed J. Stubbs), who spent much of the show wowing the attendees with his flexibility and dance skills, and Katie Karel (Penny Pingleton), who continually brought those of us in the audience to uproarious laughter with her wit and antics. Catch the show before it's too late - it's playing now through August 2! 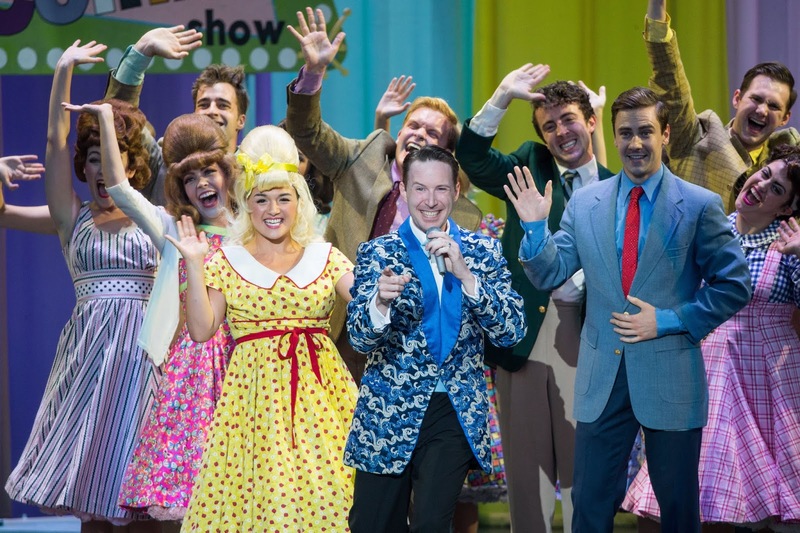 Tickets for Hairspray at Starlight Theatre are on sale now for $14+. Tickets are available online at Starlight Theatre, by calling 816.363.STAR (7827) or at the Starlight box office at 4600 Starlight Road, Kansas City, MO 64132. Evening performances begin at 8 p.m.